Apply following milk-lemon cleanser before applying any face mask. Take 2 tablespoon raw milk and mix it with 1 teaspoon fresh lemon juice. Apply this mixture on skin for 10-15 minutes and wash off with normal water. This combination is one of the best for men to get glowing skin within few weeks rather this very effective for men and women too. Vitamin C from lemon brightens your skin, dark spots and removes dead skin layer. This also decreases the melanin levels significantly and honey moisturizes skin. Mix 1 teaspoonful of fresh lemon juice with 1 teaspoonful of honey. Apply this mixture on your face and neck area for 30 minutes, wash off with normal water. Follow this remedy daily for few weeks to get fast result. Potato juice or pulp is well known for lightening the dark skin, dark spots, acne scars and dark under eye circles within weeks. This potato mask will treat the pigmentation and darkness. 1. Take some potato slices and gently rub on your face in circular and upward directions for 5 minutes and wash off your face after 30 minutes. Do this daily. 2. Alternatively, extract 1 tablespoon of potato juice and mix it with pinch of turmeric. Apply this mixture on your face and neck area. Try this daily for few weeks. 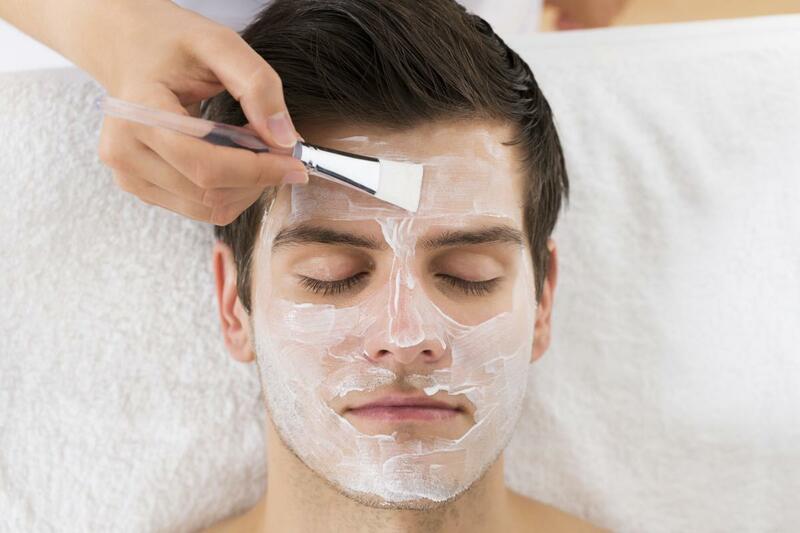 This face mask is ideal for the men who have dry, oily and normal skin type. Orange juice is rich in the vitamin C and aloe helps moisturize your skin. Mix 1-2 tablespoon of fresh orange juice with 1 teaspoon of aloe vera gel or pulp. Apply this mixture over the face and leave it for 30 minutes. Wash off with normal water and pat dry the face. Try this 4-5 times a week. Curd/yogurt works as great skin lightening agent for all skin types. Banana is rich in vitamin A, B, C, E and minerals like zinc, manganese, phosphorus, selenium, copper etc. Take a small piece of ripen banana and mash it using spoon or fingers to make smooth paste. Then add 1 tablespoon of curd in this banana paste and mix it thoroughly. Apply this paste on the face and wash off when it gets dry. Try this face mask 3-4 times in a week for the glowing skin.